Smart And Fit Kids, Welcome! We are the one-stop shop for parents looking for full and half-day pre-school programs. 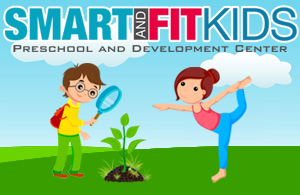 Smart Fit and Kids is committed to providing an exceptional learning environment for your children and will exceed your expectations when it comes to fulfilling our promises. 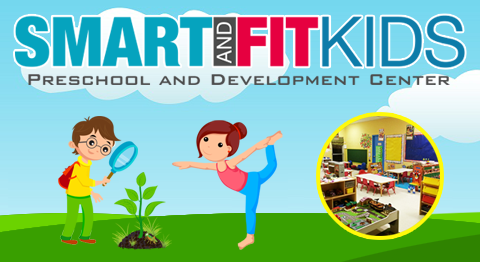 Smart Fit and Kids is a full-service facility that not only offers pre-school but also after school programs and summer camp. We welcome parents to check out our facilities and interact with the faculty before they enroll their kids at Smart Fit and Kids. We offer a wide variety of summer camp programs for children ages 4-5 and kindergarten through 5th grade. For more information, take a look at our summer camp rates. Our pre-schooling program gives parents the ability to choose between full and half-day schedules for their children. This program is designed for kids aged 1 to 5. The program also includes Voluntary Pre-Kindergarten (VPK). Our premises have a new and completely covered playground with a state-of-the art indoor gym. This ensures your children benefit from the convenience of participating in ballet, karate or gymnastics classes under professional supervision and training. It is the perfect environment for your children to develop physically, socially, intellectually and emotionally. Additionally, Smart Fit and Kids provides all meals, so parents have little to worry about. Smart Fit and Kids also offers a “Fit to Flip Sports Program”. The program includes a variety of sports activities like dancing, karate, tumbling, ballet and rhythmic gymnastics as well. The program gives our students the unique opportunity to not only get done with their homework but make new friends and have fun. Additionally, we also offer school pick-up facilities for children from the K-5th grade at local elementary schools too. Our institute is dedicated to providing a complete educational experience all the while ensuring your children have fun while learning. This means you can sign them up for various extra-curricular and sports activities, which prove to be an excellent foundation for a happy and healthy childhood. We also take pride in our daily activities, which include water play, field trips, craft and more. Moreover, we recommend parents to encourage their children to take part in our gymnastic classes and summer camps. or call us at (954) 370-0400.